The iPad may work as a laptop replacement for casual web and email surfers, but for us photographers, it's not really a professional tool. Many photographers still own an iPad as a digital portfolio or for casual use, but its simplified operating system makes using it professionally very difficult. 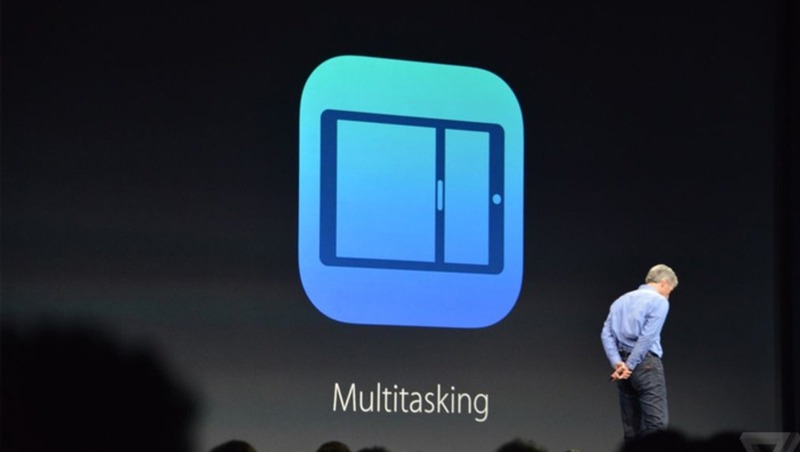 Apple is taking a big step forward with the iOS 9 update which finally allows multitasking and it's available right now. 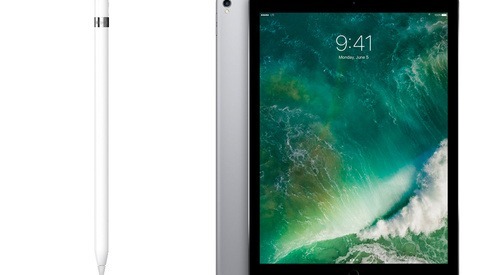 IOS 9 is Apple's newest operating system for both the iPhone and iPad. Although it has a big list of new (less exciting) features, there is only one that I care about: Multitasking. Sadly, multitasking doesn't work for iPhones at this point AND multitasking doesn't work with older iPads. But if you have the current iPad Air 2, you'll want to get this update ASAP. Why is this so valuable? Imagine trying to use your laptop with only one application or one website open at a time. As you may have read in my iPad Pro comparison article, the iPad family certainly has a long way to go before it can replace a standard laptop, but it's still a fantastic product. I love my iPad, I use it every single day, I just don't really use it to "work" but that's ok. This update alone was enough for me to replace my iPad 3, which still works great, with the current iPad Air 2. 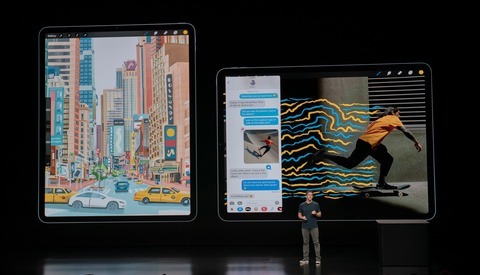 Multitasking on the iPad is a great addition to iPad's simplified operating system and it will take it one step closer to being a laptop replacement for many casual computer users. Simply click on the settings "app" and then click "General" and then "Software Update." To download a new operating system you will have to be connected to wifi internet. After a few minutes of downloading you will be prompted to install the new IOS. Installation took about 10 minutes on my iPhone 6. Unfortunately, the idea of multitasking split screen on iPad is a lot better in our heads than in reality. I've been running the beta for months and the entire process and workflow around using two screens without a mouse is awkward and annoying. Multitask has been around for years! It works great with Microsoft Surface...is this 1995 news?! Though multitasking was already a thing from the past (windows), we have to consider that the iPad is running on a mobile OS, designed (programmed) to consume less power while handling tasks. It is marvelous to see that how fast technology evolves. My phone has had split screen multi-tasking. Apple is a huge scam, they lost me as a customer 3 years ago and I haven't looked back. My Note 3 and Note 4 have had this functionality for the past 3 years. I do like the iMac though, the rest of their products are just glossy turds. My iPad 1 is obsolete....I can't even download new apps on it, totally sh1tty. I may need to give Android a try but I've always "felt" like Android certainly gives you more options but at the expense of usability and stability. My brother gave me crap about my iPhone for years and then when he was given an iPhone he said, "you know what, this doesn't do everything I'm used to but it just works, every single day." Now he's a happy iPhone user. 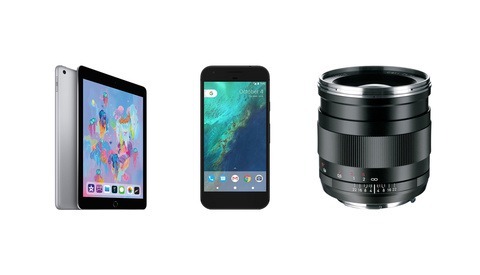 IPad, Android device ... no major difdference really ... well actually, just a few that really pushed me towards Android. The main one is : No need for ITunes. I hook up my phone or tablet to my PC? It shows up as a USB flash drive. That's it really. That was one of the major points for me. Now, a few years later. I have a friend with an older generation IPad, Netflix is no longer supported on it ... Netflix still gets updates on my old Galaxy Tab (the very first Android tablet). "The original Galaxy Tab (which was renamed as the Galaxy Tab 7.0 with the release of the 7.7, 8.9, and 10.1) was introduced on 2 September 2010 - at the IFA in Berlin. The Galaxy Tab was the first Android-powered tablet to be released." The thing still runs like a champ. My 4 year old daughter uses it now. Yeah Lee make the switch, I always heard the same things you are hearing. I have zero problems with stability. Usability is subjective and of course theres a learning curve. But I was immediately happy with the change even with the very slight learning curve. Just as an example i was setting up chrome cast in my office a month ago its a free app and I needed to set it up on my android phone a couple computers and an iPad. My phone I had set up in 5 minutes, same with the two computers, the iPad I worked on for 45 minutes before I found out that you actually can't mirror your screen on iPad or iPhones......also why in the world do you need to enter passwords to get free apps? I have tried. I bought a macbook air a few years ago. the hand holding OS made me so angry I returned it. My girlfriend has used my Note 4 a few times now and said "this is the first phone you've gotten that has been enjoyable to use". Not that it will convert her from iPhones. I'm a bit agnostic when it comes to these things. Love my iPad, love my Note 4. Learned on a Mac, but prefer a PC. I used iPhones for the past 5 years and have an iPad, although I just switched to an Android phone (Samsung Note 5) and I'm absolutely loving it. I never used the camera on my iPhone much but been using it like crazy since getting the N5. The way I see it is if freedom, customization and hardware are important to you, go for Android. If you don't care about that kind of stuff and just want a phone for calling, texting, browsing the net and a beautiful design, then iPhone it is. Tablets and smartphones could always be used for your profession. The most obvious is to use them as your portable office. Tablets and Smartphones have always been useful for our work. I'm not sure if that was directed at me but if it was .. I never said Android was better ... I just listed what I use. There are equivalent to all that in IOS. No Eric Its not directed at you and anybody in particular. I just find the whole thing of Android and IOS tiresome I also have Android and IOS. But its the whole Nikon Cannon thing its not good I would love to see the day when there is more positive input it would make life so much nicer. Today I was told you are not a photographer unless you have a Sony AR7 how sad is that.